Call me a bit of a conspiracist. I mean really; I really to do think I am. For example, I think that the company for the left side and the company for the right of the KitKat bar are really working together to fool us into buying them both. Wait guys…I am sorry my copyright personnel just told me that they are the same company; as if I didn’t already know that (I will fact check that later though). I also think the guy that plays Sgt. Powell (Family Matters) and the cop helping John McClane (Die Hard) is the same person. Hold on guys one second…ok I apologize again but my copyright personnel informed me again that they are same person and his name is Reginald VelJonson (add that to fact list as well). Okay, maybe I am not much of conspiracist after all. However, it does seem a bit fishy that The New England Patriots will face the L.A. Rams, formerly the St. Louis Rams, in this year’s NFL Super Bowl. Now, I know I may have lost some credibility with you guys with the previous conspiracy theories (thanks to my research department), but I think that I have this one in the bag. Tom Brady and Bill Belichick will be headed to their 9th Superbowl; and has won 5 out the previous 8 they’ve been apart of. The two will arguably go down in history as the best who have ever did it at their position. However I can’t help but to think, especially being that I have proven my ability to point out the obvious…wait that doesn’t sound right; I can’t help but think that the NFL, with its flare for the dramatics, will attempt to capture the inevitable “changing of the guards.” Aging quarterback and coach hands the reigns of the NFL to their much younger counterparts. Again call it the conspiracist in me. However, I’m no fool. Over the last few days, I’ve heard another scenario. 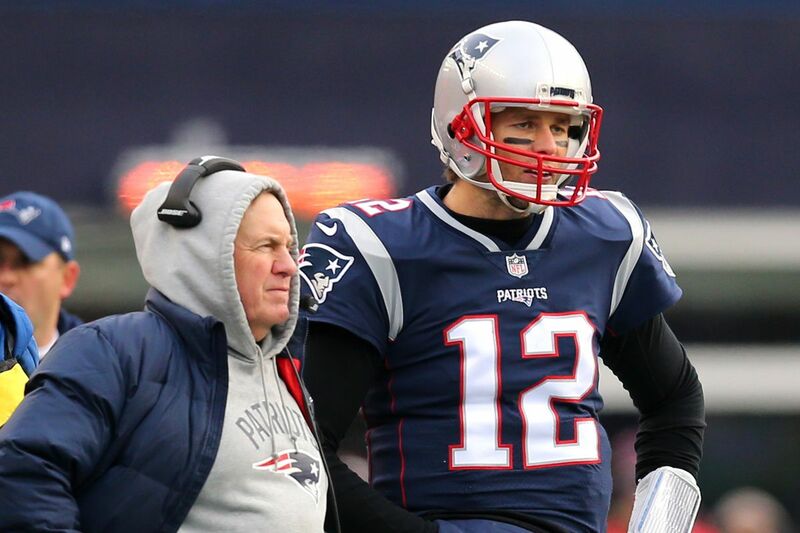 The idea that Brady and Belichick journey has come full circle. This implies that somehow they are done with chasing rings. This is preposterous. These two individuals drive to excellence is unmatched, and I think they thrive proving both the doubters and naysayers wrong; on the biggest of stages. Maybe even the conspiracist theorist too. They forever claim that they’re never listening to the media. While this may or may not be true, both Brady and Belichick seems to have and ax to grind. My theory, and unfortunately for the Rams; the New England Patriots circle is far from coming to full.